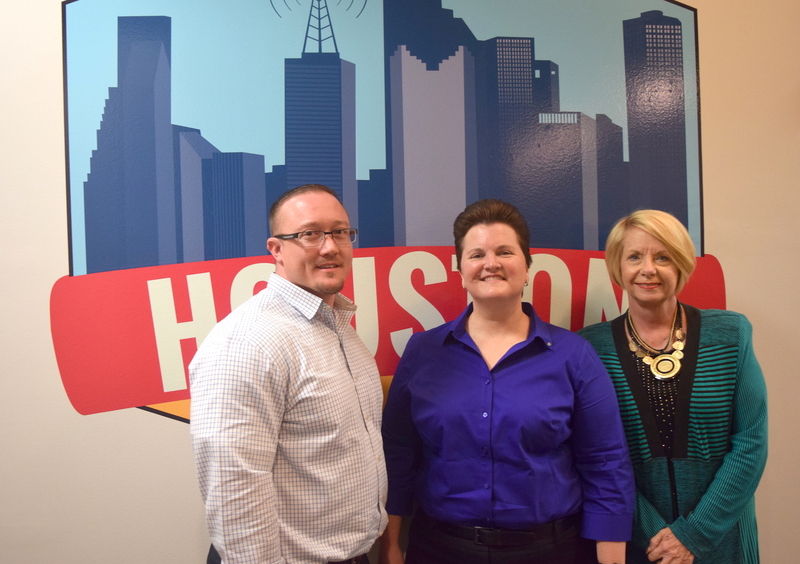 Lee College Huntsville Center Dean Donna Zuniga (right) and Transition Specialist Brandon Warren (left) appeared July 27, 2017, on Houston Public Media’s “Houston Matters” radio show to discuss the effort to provide Texas Department of Criminal Justice inmates the opportunity to earn college credits while still behind bars. Krista Gehring (center), a criminal justice faculty member at the University of Houston – Downtown, was also part of the panel. 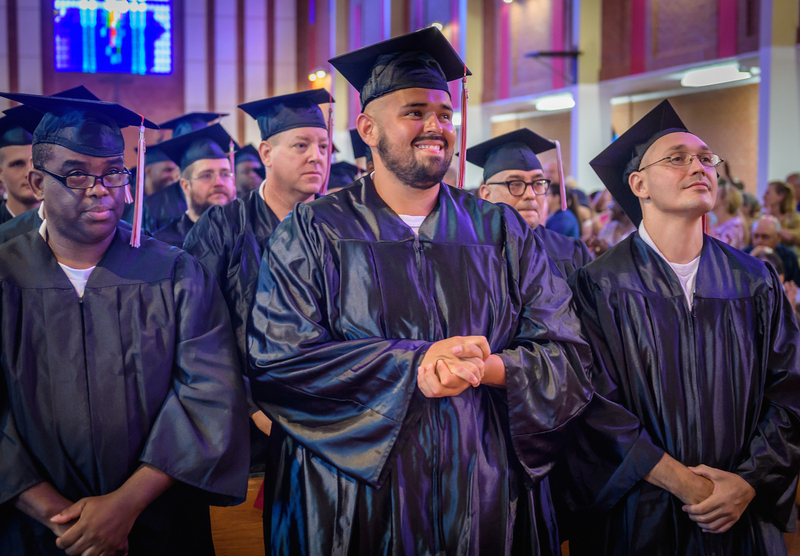 The Huntsville Center is one of the oldest and largest correctional education programs in the country and graduated nearly 200 students in June, the most in its 51-year history. 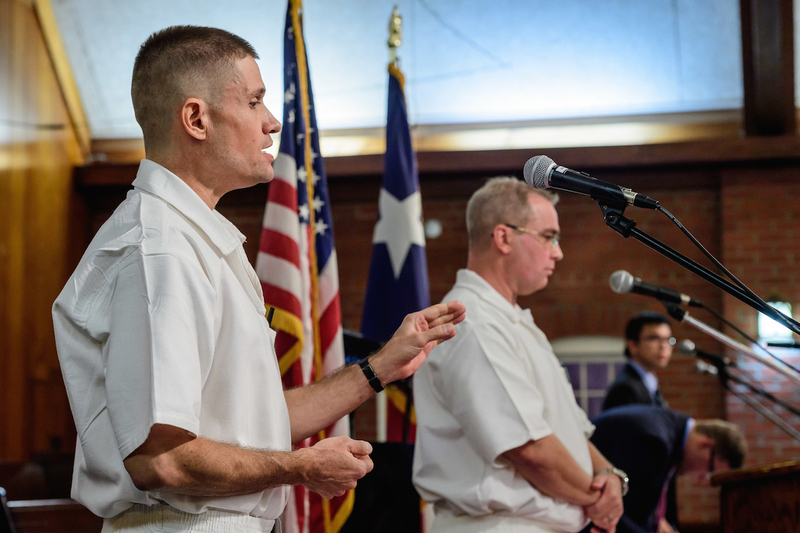 BAYTOWN, TX — The Lee College Huntsville Center, one of the oldest and largest correctional education programs in the country, was recently featured on “Houston Matters,” an award-winning public affairs radio show that airs weekdays on Houston Public Media and explores people, places, issues and ideas unique to the city and region. Huntsville Center Dean Donna Zuniga and Transition Specialist Brandon Warren joined “Houston Matters” host Craig Cohen on July 27 to discuss prison education and the effort to provide offenders incarcerated by the Texas Department of Criminal Justice (TDCJ) the opportunity to earn college credit while still behind bars. 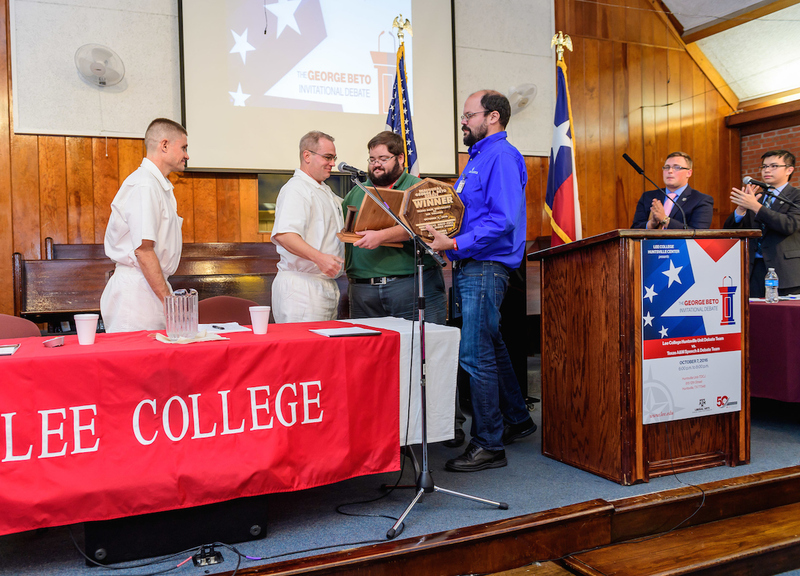 The Huntsville Center offers associate degree and certificate programs in academic and technical fields to a growing enrollment of more than 1,200 students across six TDCJ units. In June, the Huntsville Center celebrated the graduation of nearly 200 students – the largest class in the program’s 51-year history. 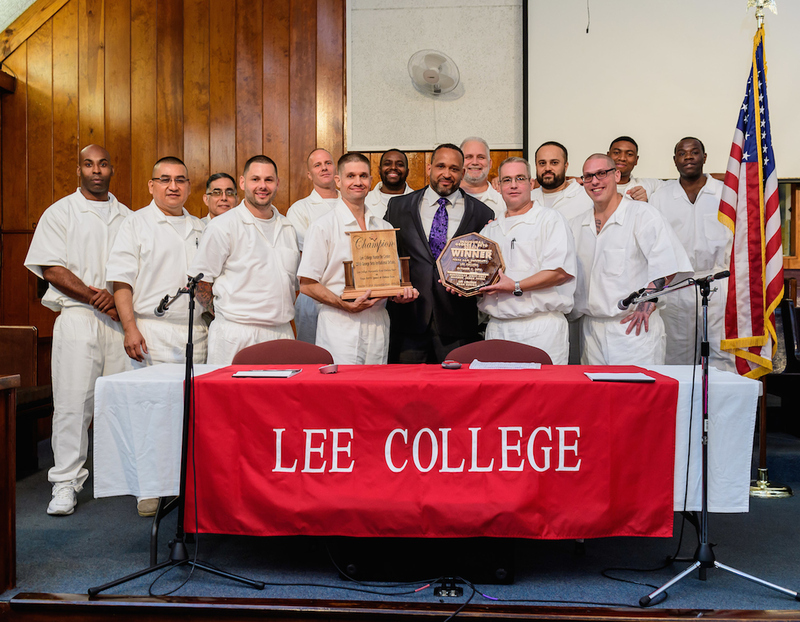 Recidivism data show that offenders who receive education while in prison are significantly less likely to return upon release; in fact, more than 90 percent of Lee College graduates never return to prison after re-integrating into society. To listen to Zuniga and Warren’s full interview on “Houston Matters,” visit www.houstonpublicmedia.org.